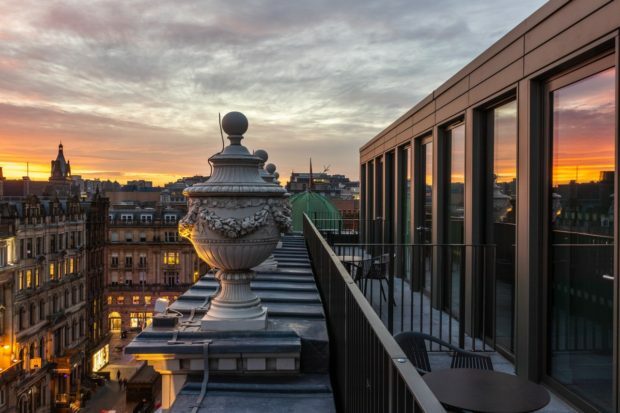 We are delighted to be working with Native Glasgow to offer one TLE reader the chance to WIN a luxury two night stay at Native Glasgow. To enter the competition couldn’t be easier head to the bottom of the page and fill in your details. Native Glasgow provides the perfect ‘home away from home’ from which to explore Scotland’s cultural capital. 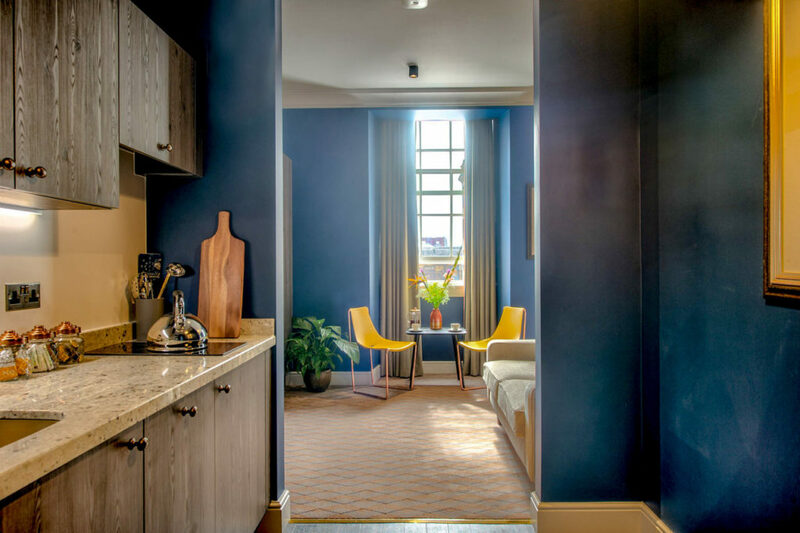 Located in the heart of Glasgow city centre, Native Glasgow has seen the multi-million-pound restoration of an Edwardian Art Deco office building, formerly the headquarters of the Anchor Line Shipping Company, offering 64 apartments ranging from studio to penthouse spaces. Guests can expect to see numerous original features, including glazed tiles, terrazzo flooring, timber wall panelling and fireplaces. Two genuine safes have been maintained within the building while the penthouse rooms offer unparalleled views of the cities skyline. Each apartment has a large ensuite with a coloured feature tile in the shower area. These tiles are a nod to the ‘wally close tiles’ used in the original sandstone tenements. Many of which have been retained in some of the older buildings. 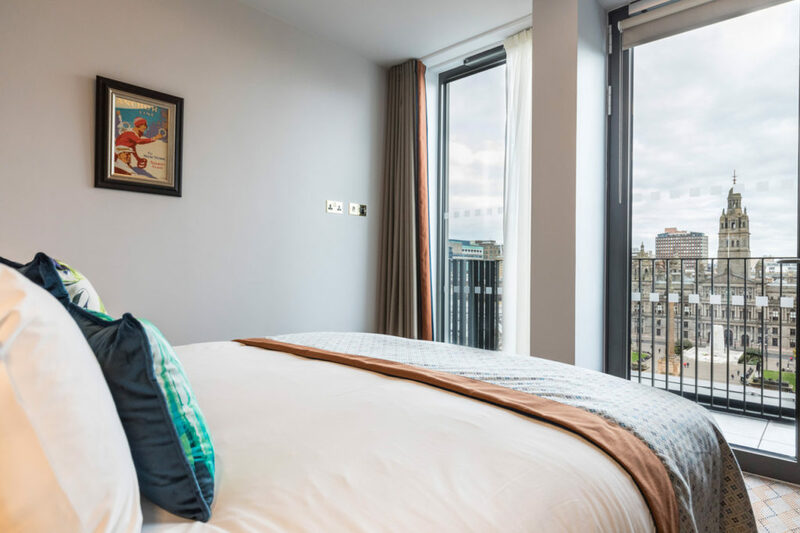 Native Glasgow provides all the benefits of a hotel but with the space, flexibility and freedom of a private apartment. Facilities will include, 24-hour reception, concierge and free high-speed Wi-Fi. In addition to this, the building’s ground and basement floors are already home to two popular restaurants, The Anchor Line and Atlantic, which are open from breakfast through to dinner. To enter the competition simply complete the form below and follow Native @nativegla and The Luxury Editors @theluxuryeditor Instagram profiles. Competition closes on 20th April 2019 (midnight) and a winner will be picked and announced within 7 days. If winner does not respond within 72 hours another winner will be selected at random. Prize is a two night stay in one of their rooftop penthouses. Prize must be redeemed within three months of winner announcement and is subject to booking availability. Any additional costs incurred at the venue must be paid for by the holder of the prize.